Looking for the best web designing company in Singapore? A website is now so common that it has become a must for any business that wants to increase visibility and gain more valuable leads. However, not every business owner has ability, knowledge and time to build a website on his own. Nonetheless, for every problem there is a solution and there are several professional web designing companies that can be found for your web design in Singapore. All you need to do is choose the best and await an awesome web design in Singapore. But how exactly is one supposed to go about in choosing the best? There are several factors that need to be taken into consideration here. Credibility and Reputation: choose a web designing company that is reputable. For the best web design in Singapore you should look for a designer that already has an established name. How do you know that? Look at those who have a good track record and experience. Companies who have worked with many government agencies or SMEs usually have a good track record for web design. You want to be sure that your work gets done on time. 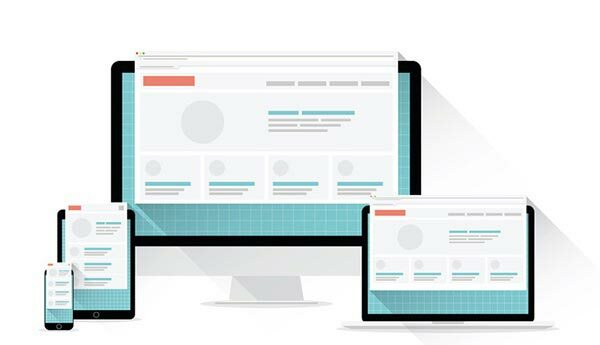 Even though there are plenty of talented web designers around that just started out, you want to make sure that your money will be well-spent on a good web site. The world of web design in Singapore constantly changes and new developments are found nearly every day. If you want the best web designing company, look for someone who is continuously educating himself on the subject. This way, you are ensured of an up-to-date web designing company in Singapore. Discuss requirements and take note of the rate of what a web designing company is asking for. It might be much cheaper to agree on a rate per job than a rate per hour, since not everyone works equally fast and it’s very appealing to make use of this fact. But this means that you might end up paying more than the effective working hours. Consider a company that comes with valuable web designing packages. Every well-established web designing company will be glad to showcase some of theirprevious work. Everyone has different preferences for his web site in Singapore and therefore, make sure that the designs that are showcased are what you like. Ask the web designing company about the average time they need to finish a job. Your website designing company in Singapore might have to be ready before a certain deadline, or maybe you just want to get your website online as soon as possible. In generally, website conceptualise and development cycle will take about 6 to 8 weeks. There might be a handful of companies or free lancer that will tell you they will get everything ready within 1 to 2 weeks. However most of them are using pre-build website design templates and often they are re-use over and over again. These developer might be super fast, but ask yourself… do you really want to have a website that looks identical to another? Call us today and let us know your requirements and out sales team will be able to advise you with an estimated dateline. And if you need to launch something as soon as possible, we will work hand-in-hand and plan each milestone together with you. These are few points that will decide on which web design company you would choose for your website in Singapore. Before hiring a web designer, make sure that the requirements are clear and that the web design company that you’d chosen understands them. After you have interviewed several web designing companies about your website in Singapore, choose the best one and you will have a good website! One last point that should be mentioned; when your design is done and you are not completely satisfied, do not hesitate to contact the designer and ask for modifications. You deserve to get exactly what you paid for!